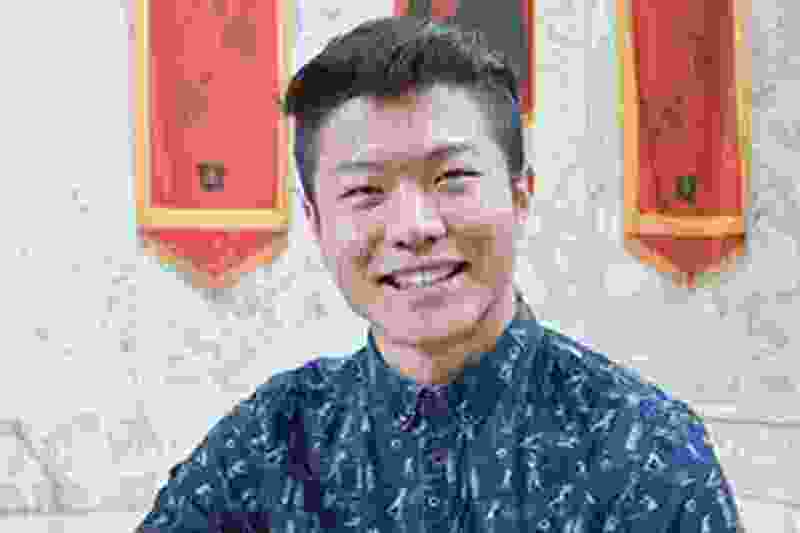 ChenWei Guo, an international University of Utah student fatally shot Monday, was remembered by school officials and friends Tuesday as a charming and talented young man with a bright future. Guo, of Salt Lake City, would have turned 24 on Sunday. He was in his parked vehicle near the gate at the mouth of Red Butte Canyon Monday night when he was shot during an attempted carjacking, Salt Lake City police said. Austin Jeffrey Boutain, 24, was arrested Tuesday in connection with the shooting. Guo, who is from China, was majoring in pre-computer science. University officials have contacted Guo’s parents and were coordinating efforts to bring them from Beijing to Utah, said U. spokesman Chris Nelson. His friends flooded social media with posts highlighting his friendly personality and kindness, as well as the impact his faith made on them. Guo was a member of The Church of Jesus Christ of Latter-day Saints, LDS Church spokesman Eric Hawkins confirmed, adding that Guo served as a missionary in the Utah Provo Mission and had also worked as a volunteer interpreter for the church. U. President David Pershing called the shooting “a senseless, random act of violence” in a letter released by the university Tuesday morning. Guo was an only child, and his family was “understandably devastated by the loss of their son,” Pershing‘s letter said. Gov. Gary Herbert on Tuesday called the shooting a tragedy and offered his condolences to Guo’s family. A GoFundMe for the family has been created at https://www.gofundme.com/chenwei-guo-family-fund. Guo worked as a peer adviser in the International Student and Scholar Services Office. A social media page for Guo said he was to graduate in 2019 and was a “future engineering leader.” It said he had worked for the LDS Church as an interpreter and as an information technology support worker. Pennsylvania resident Jordan Clive told The Salt Lake Tribune he met Guo in 2013, when Clive was living in Provo and attending Brigham Young University and Guo was serving as a missionary. Clive described Guo as selfless and said he was a favorite missionary among the members of the Mormon congregation. Police did not disclose whether Guo had been alone in the vehicle or how many times he had been shot. Shortly before the shooting, Boutain’s wife, 23-year-old Kathleen Boutain, reported to university police that her husband had assaulted her in Red Butte Canyon. She was arrested Monday night on suspicion of theft by receiving stolen property and drug possession charges. The Boutains are persons of interest in a suspicious death in Golden, Colo., which occurred a few days ago, police said. (Steve Griffin | The Salt Lake Tribune) The Associated Students of the University of Utah hold a support gathering for students after University of Utah student ChenWei Guo was killed on campus during a attempted carjacking October 30, 2017. The gathering was held at the Union Ballroom on the University of Utah campus in Salt Lake City Tuesday October 31, 2017. (Steve Griffin | The Salt Lake Tribune) The Associated Students of the University of Utah hold a support gathering for students after University of Utah student ChenWei Guo was killed on campus during a attempted carjacking October 30, 2017. The gathering was held at the Union Ballroom on the University of Utah campus in Salt Lake City Tuesday October 31, 2017. (Steve Griffin | The Salt Lake Tribune) The Associated Students of the University of Utah hold a support gathering for students after University of Utah student ChenWei Guo was killed on campus during a attempted carjacking October 30, 2017. The gathering was held at the Union Ballroom on the University of Utah campus in Salt Lake City Tuesday October 31, 2017. (Steve Griffin | The Salt Lake Tribune) The Associated Students of the University of Utah hold a support gathering for students after University of Utah student ChenWei Guo was killed on campus during a attempted carjacking October 30, 2017. The gathering was held at the Union Ballroom on the University of Utah campus in Salt Lake City Tuesday October 31, 2017. About 100 people gathered briefly at the university’s student union building Tuesday night to remember Guo. Student body President Zach Berger and student success advocate Wazir Jefferson urged students to support each other. Jefferson asked attendees to hold hands with the person standing next to them. “I invite you to lift each other‘s hands up in honoring that we’re much more alike than we are different, in honoring the fact that we can love beyond limits of who we are and that we don’t have to be fearful,” he said. Student Kaitlin McLean said she didn’t know Guo, but came with a group of her friends because she — like every other student on campus — was impacted by his death.